Times flies. It was like yesterday when we photographed little A when she was only 7 days’ old. See our last BLOG post of her at day 7. Now little A has grown into a little chubby sweet heart. Love love her beautiful eyes and cheeky face. Seriously the whole family can be models. I love all her headbands, the big teddy bear and all her friends!!! I just can’t stop shooting!! OMG I wish I could bring her home!! People can consider hiring them for baby/mom magazine!!! 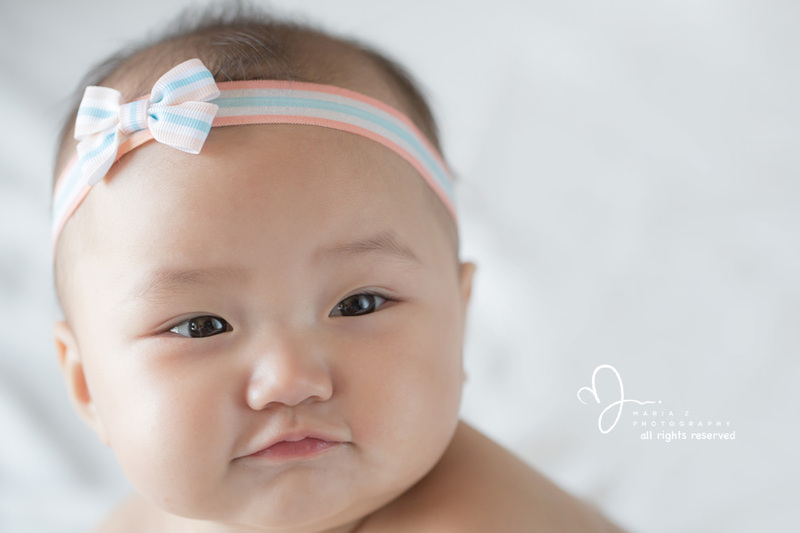 Here is a sneak peek of the last photo session at 7 month. Jen Hughes - very pretty baby and family! Love Love!